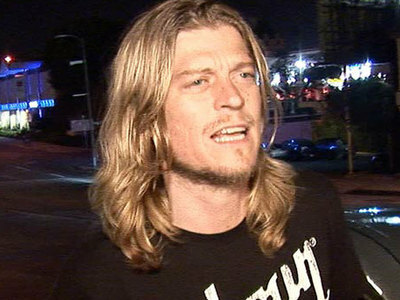 Puddle of Mudd singer Wes Scantlin had an intense standoff with police outside his L.A. home ... and things got so serious, cops brought out the heavy artillery. 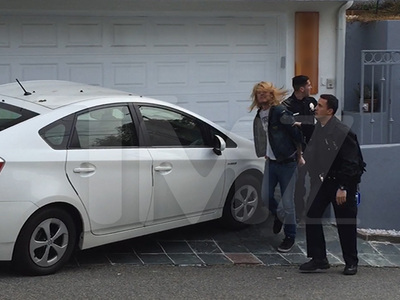 Law enforcement sources tell TMZ they got a call last month about a burglary in a car sitting in Scantlin's driveway. When they showed up, Wes darted into his house and refused to come out. We're told cops tried several times to get Wes to comply, but when he continued to ignore them ... they called in at least 30 officers with guns drawn. After a couple of hours, police broke down Wes' back door and hauled him out. We're told he was arrested for a previous warrant, but was not booked for the standoff. As for the burglary? Cops say Wes and a couple friends were trying to jump start a car, not clean it out.